Major Bowes died in 1945 while his original series was still on radio. I do believe Major Bowes was around the same time or before Ted Mack. Ted Mack didn't steal the show from Major Bowes. He replaced Major Bowes after his death. 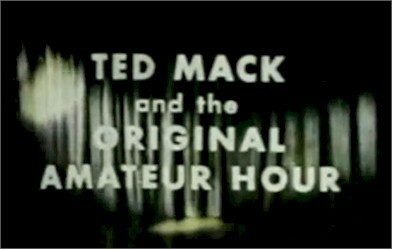 My parents used to say Ted Mack stole the show idea and name from his old boss, Major Bowes, who hosted radio's original "Original Amateur Hour" in the 1930s-40s. Isn't "American Idol" just a higher tech version?